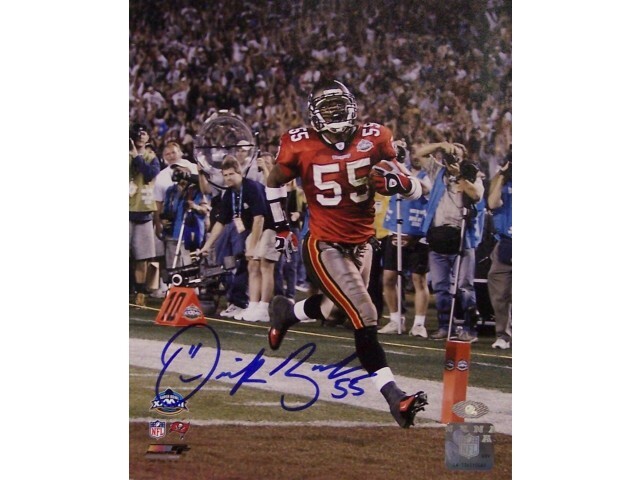 This Tampa Bay Buccaneers 8x10 Photo has been hand signed by Derrick Brooks. The Photograph will be shipped in a protective rigid 8x10 top loader. Certificate of Authenticity from Creative with matching holograms on the photo and certificate.